Important Note: If there’s a country you’re interested in that is not listed in the righthand navigation, please email fhcbob (at) gmail.com and we’ll get it immediately added. Foreign research is not as difficult as you might think — in fact, using some of the tools we describe below, it’s actually a lot of fun. However, it can take some initial effort as you get yourself up-to-speed on using the records that are available for the country you’re interested in. All you need is a little bit of research guidance, along with some research helps (all available here)…and you’re on your way! When you find the foreign country your grandparents or great-grandparents came from, the thought of searching through records written in a foreign language might seem a little intimidating. But, it’s actually not that hard. With a foreign-word list to help you, you’ll find that after awhile you’ll be able to quickly decipher the typical civil registration or church records — whether they’re written in French, Italian, Spanish, German, etc. It takes a little time at first, but once you get the hang of it, you’ll be surprised how quickly you pick it up (reading it, not speaking it). 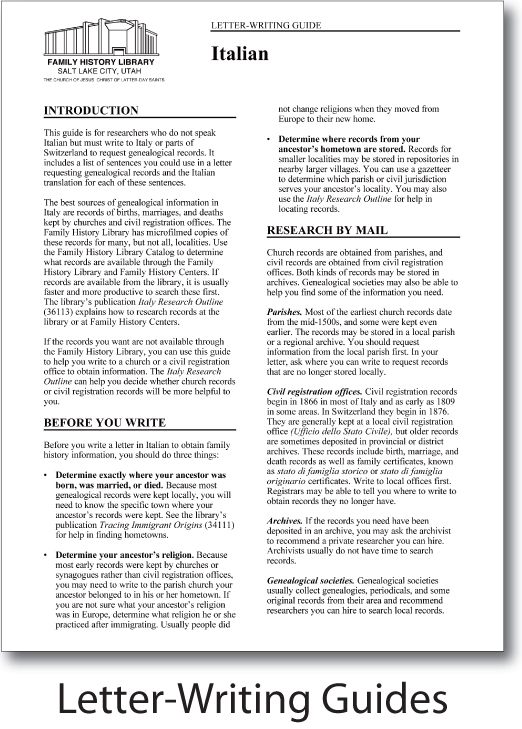 Use the “Foreign” version of the Family Research Checklist. Fill it in with the names of the family you’re researching. 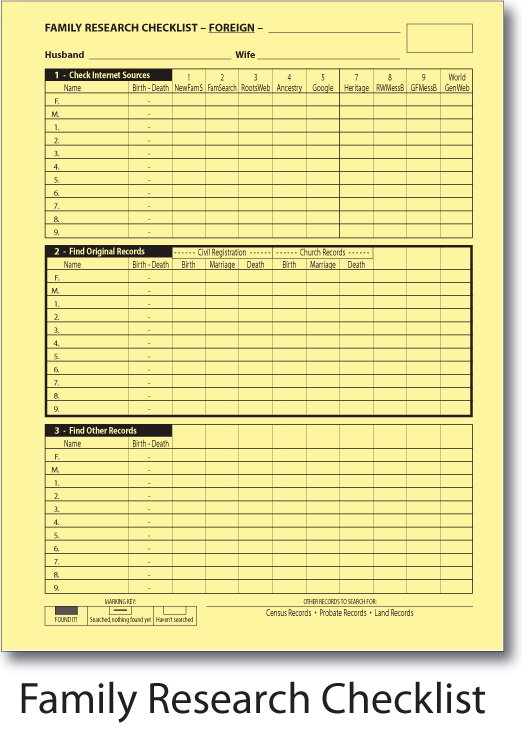 Use one Checklist for each family unit (i.e., father, mother, and their children are all included on the same Checklist). You’re now ready to start checking the Internet. The top part of the Checklist corresponds with the Preformatted Family History Bookmarks that you loaded on your Internet Browser. Mark off the Checklist as you search each Internet site and as you look for original records. First, create a Bookmark (Favorites) folder for the country to drop any good websites into that you find. Then, do a quick check through the basic Internet sites listed on your Checklist. You might get lucky and find someone has already done some foreign research on your family. If you don’t find your foreign ancestor, you may find the surname which will give valuable clues as to the region where the name is found (especially if it’s an uncommon name). 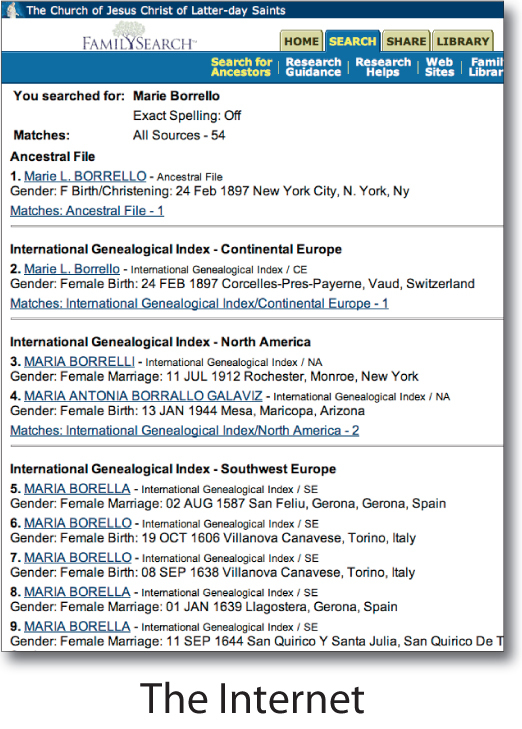 If you don’t check the Internet now, you might end up kicking yourself several months down the road if you find the information was already in FamilySearch! A quick search through the Internet could turn up some interesting information. But, each country is different. Some have a lot of information available online, such as England or Scotland, and others have little to none. 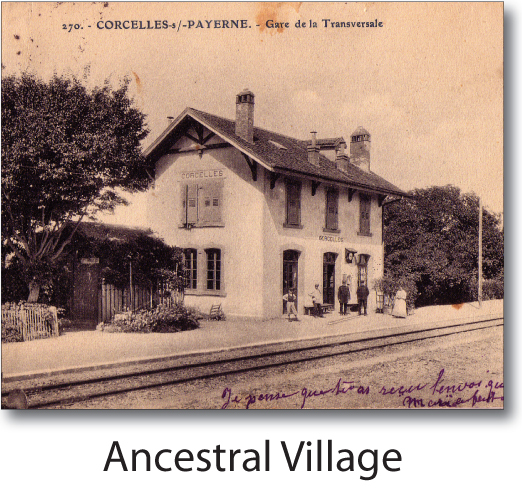 Your most important step is locating the village or town your ancestor came from. This information will typically come from some U.S. record, such as an obituary, letter, photo, immigration record, ship passenger list, World War I draft record, church record, tombstone, etc. And, if you can’t find the village information in any of these records listed above for your ancestor, remember to check these same types of records for their brothers or sisters. It’s an exciting moment when you actually find that elusive name! Check the online Family History Library Catalog using the “Place Search” button to see if any records are available for your village (or town or city). 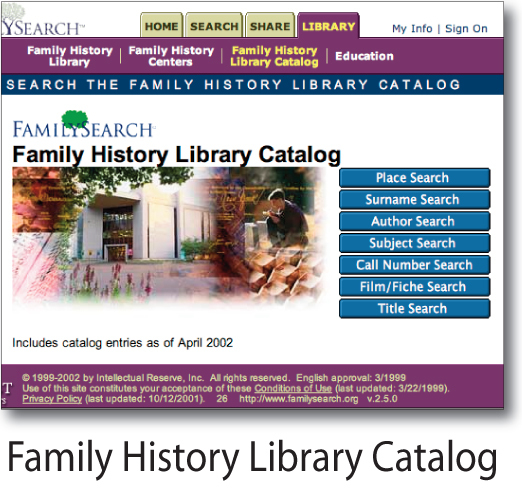 You can access the catalog on the Internet at http://www.familysearch.org. This lists all the records available at the Family History Library in Salt Lake City in its holdings of over 2.5 million rolls of microfilm. Don’t worry if you don’t immediately find anything — you might not have the correct spelling for the village, or the records might be located in an adjoining town — which you’ll eventually get figured out. These are going to be your greatest helps. Go to the country list on the right side of this page and click on the country you’re interested in. For each country we’ve listed the available research guides and foreign word lists. 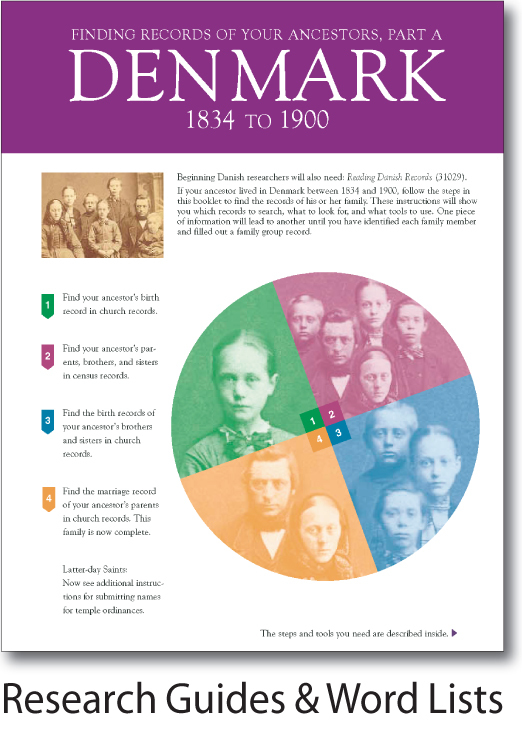 The Research Guides describe the records and strategies you can use to pursue family history research in a specific geographic location or in a particular type of record. They’ll often show you examples of the available records, and show you how to use them and translate them. 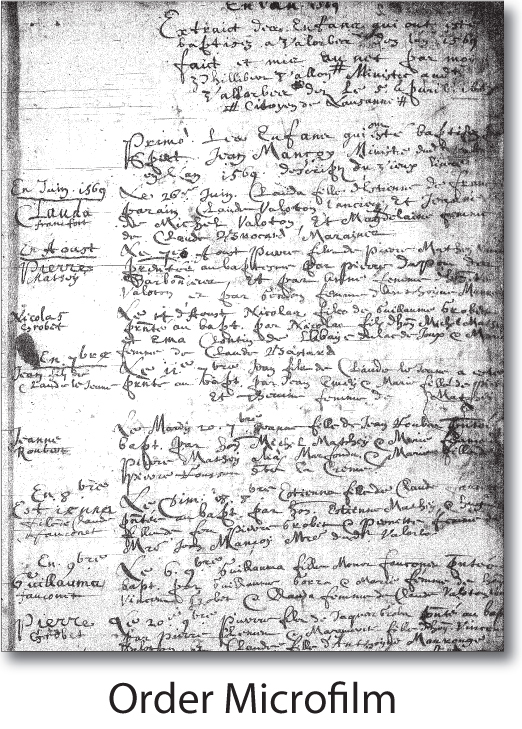 The Foreign Word Lists contain English translations of foreign words contained in old documents from foreign countries. They’ll list the most common words used in the records and also list the translations for numbers and dates. They’re invaluable. Gazetteers list the names of all the villages, towns and cities in a country — and tell you exactly where they’re located. They also show you nearby villages and towns where the records might be kept. If a village is quite small, sometimes the records are kept in an adjoining town. 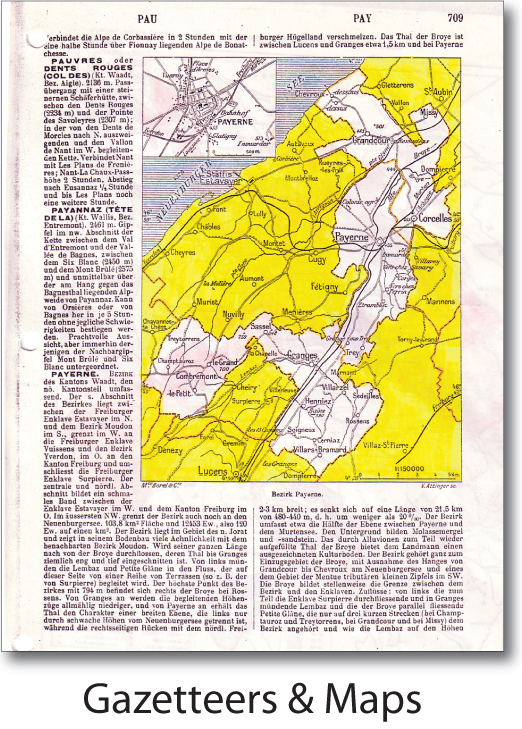 Some gazetteers are available online — and others are available on microfilm from Salt Lake Family History Library. It’s important to find any detailed Maps for the areas where your ancestor came from and, if possible, for the general time period they lived there. This is especially helpful for central European countries where boundaries changed quite dramatically over the years. For each of the countries listed to the right, we’ve got links to maps you can download and print. There’s a good chance (especially for European countries) that the records of your village or town have been microfilmed. If so, you can order them through the Asheboro, Greensboro, or Winston-Salem Family History Centers. Now, if the Church hasn’t microfilmed the records, you’ll have to write for them (see Step 9 below). The Research Guides we’ve mentioned above, along the some of the research websites that might be available for your specific country will prove very helpful in this regard. 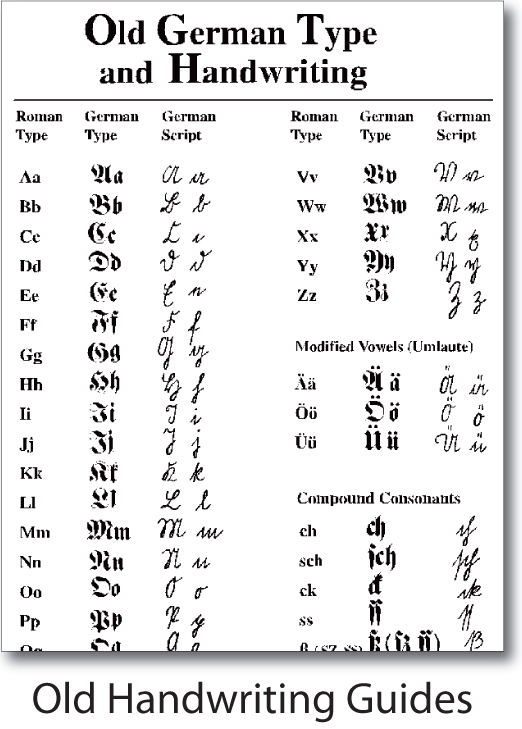 A bigger challenge than the language, is often the handwriting. Sometimes a record written in Old English will actually be harder to read than one written in another language. But, not to worry, we’ve got several guides and courses to help you with the old handwriting styles. You’ll find these listed in our Classes & Training Help Center under the “Language & Handwriting” header. Once you’re able to pick out how the different letters are written in Old English, or in a foreign language, you quickly become accustomed to it and you’ll be able to figure out what the record says — even in a foreign language! When records aren’t available from the Family History Library, you’ll need to resort to mail. Writing to the local parish church might bring results, however older records may have been transferred to a central archive. We’ve got Letter-Writing Guides to help you write the letters and that indicate where to write for the information you need — or that tell you where you can find the information online. Each country is different. Sometimes there’s a treasure trove of information online or on microfilm — and sometimes there’s not. But, hopefully, in your case you’ll find the records you need. So good luck with your foreign country research! You’ll find it very rewarding as you blaze a trail through records on your family, knowing that often times you’re probably the first descendant to be looking through these original records for your families.